Starting from your Dashboard, click on Netcasts. 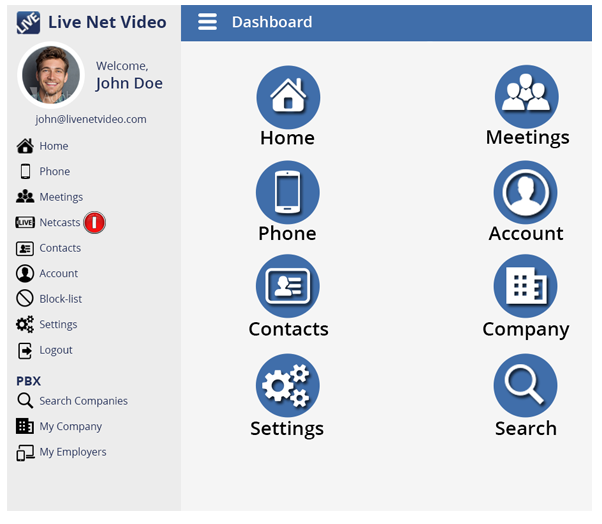 The Netcasts Dashboard will open. 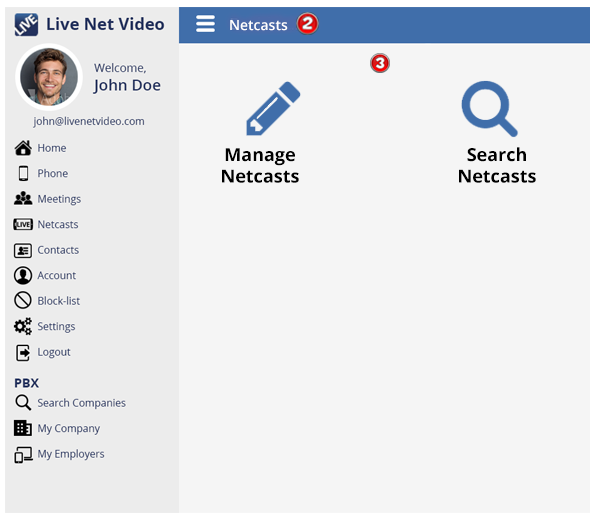 From the Netcasts Dashboard, you will be able to manage your netcasts and also search for up coming netcasts.